Arizona State University’s signature spirit of innovation, entrepreneurship and experimentation was on full display at the Celebration of Invention held March 28, 2018, in Old Main on the Tempe campus. Organized by Knowledge Enterprise Development, Skysong Innovations and the ASU Chapter of the National Academy of Inventors (NAI), the event recognized new patent holders, startup founders and additions to the ASU NAI Chapter, as well as celebrated their unifying drive to create, refine and accelerate knowledge and technology. Panchanathan, who sits on the NAI’s board of directors, noted the progress ASU has made in recent years in terms of patents granted, startups founded and inventions disclosed. “We constantly exceed the metrics set forth by the Board of Regents and we are positioned to do even better this year,” he said. Since 1996, ASU has been awarded 681 U.S. patents and is ranked No. 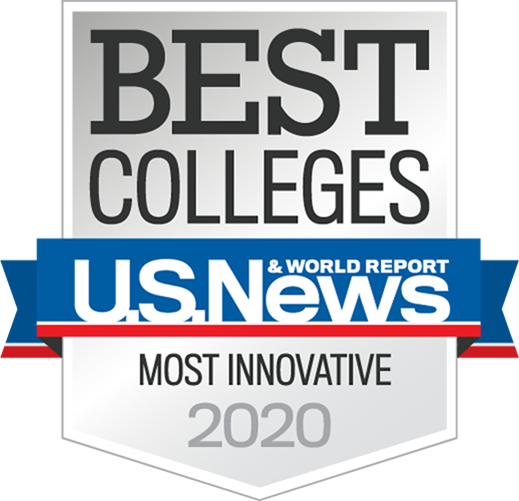 21 among U.S. institutions, ahead of Northwestern, Harvard, Johns Hopkins and Duke. Excluding institutions with a medical school, ASU sits comfortably at sixth. Last year, ASU was ranked No. 30 by NAI and the Intellectual Property Owners Association in U.S. utility patents granted to universities worldwide, outpacing institutions such as Yale, Carnegie Mellon, Georgetown and Dartmouth. Although the sheer volume of ASU’s intellectual property growth is impressive, Panchanathan noted a growing emphasis on the benefit of new inventions and technology. “What we are seeing across the nation is that universities are increasingly focused on not only generating revenue through intellectual property disclosure, but on how inventions can positively affect humanity. This aligns with ASU’s directive of always creating impact and engaging in research of public value,” he said. Following his opening remarks, Panchanathan introduced the keynote speaker, Elizabeth Dougherty, the director of inventor education, outreach, and recognition in the Office of Innovation Development at the United States Patent and Trademark Office (USPTO). Dougherty spoke about the storied history of the USPTO, as well as the goals of the new under secretary of commerce for intellectual property and USPTO director, Andrei Iancu, who was appointed to the position in February 2018. Last year, ASU launched its own NAI chapter to promote invention and recognize innovation across the university. The ASU NAI chapter welcomed 12 new members this year. The inductees were Erica Forzani, Sidney Hecht, Nicole Herbots, Joseph Hui, Omar Khdour, Jeffrey LaBelle, Bruce Rittmann, Dong-Kyun Seo, Michael Sierks, Jun-Ping Xu, Hao Yan and Charles Arntzen, who is also a NAI fellow. Following the new member inductions, the celebration recognized 40 ASU inventors who received patents in the life sciences in 2017, 34 who received physical sciences patents and 28 who licensed their technologies.